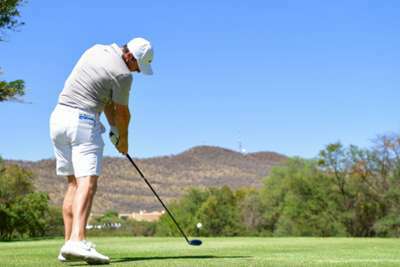 Rory McIlroy is a man on a mission at the Nedbank Golf Challenge this week as he looks to mount a late charge for a fourth Race to Dubai title. It is two-and-a-half years since the four-time major champion won his last European Tour title at the Irish Open. McIlroy's last tournament triumph came at the Arnold Palmer Invitational in March, but the former world number one has had some near misses in 2018. The 29-year-old will tee off in Sun City on Thursday eighth in the Race to Dubai standings, but a victory would move him into second and put him in the final pairing with leader Francesco Molinari at the season-ending DP World Tour Championship in Dubai next week. "My thing is I'm coming here with the goal that, if I can get into that final group on Thursday with Frankie next week, that would be a good start," said the Northern Irishman. "I'm going to need some great golf over the next two weeks, but we'll see what happens this week. I feel like my game is in pretty good shape. "I didn't play great in China but I've had a week off and just sort of reflecting on things. Hopefully I can get off to a good start this week." Sergio Garcia and defending champion Branden Grace are among the other big draws in the tournament hosted by Gary Player this week.